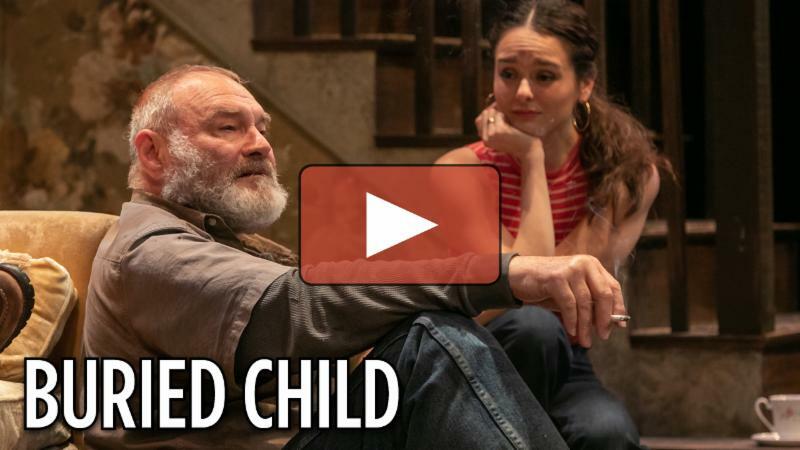 nj arts maven: BURIED CHILD'S Nuclear Family Explodes Onto the Stage! BURIED CHILD'S Nuclear Family Explodes Onto the Stage! "Sam Shepard's Searing Family Drama Burns Brightly on STNJ Stage" raves NJArtsMaven.com! Click here for directions to the F.M. Kirby Shakespeare Theatre and for information about FREE parking. This Pulitzer Prize-winning drama marks the first time that we will present a play by Sam Shepard who sadly passed away last year. A stunning allegory about America, Buried Child is a darkly funny and disturbing depiction of the American dream gone wrong. In homage to this groundbreaking playwright, we are thrilled to bring this modern American classic to life. Don't miss our Audio Described performance on Sunday, September 30, at 7:30 p.m. with a Sensory Seminar beginning an hour and a half prior. Pictured: Sherman Howard* as Dodge and Andrea Morales* as Shelly. ﻿Photo credit: Jerry Dalia, 2018.